Picked this poor thing up from a buddy a couple weeks ago. Spent the day yesterday stripping the bike down to bare frame and doing some cleanup. First thing that needs to go is that tail. Thinking about swapping for 04-05 gsxr tail and fabbing a subframe for it. Any suggestions or experience that could help out with the tail swap? no advice here - i mean, tail swaps are pretty straight forward. just take your time mocking it up. 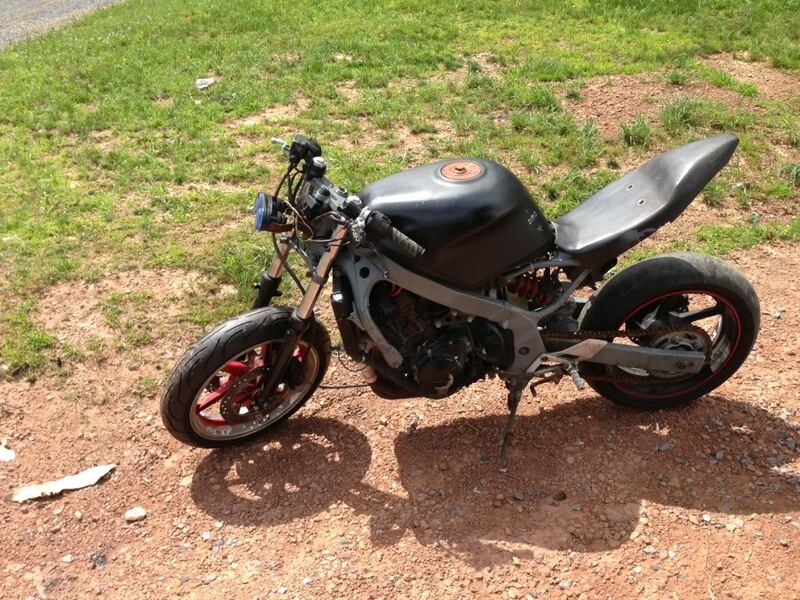 google image search is your friend - look at however many gixxer subframe pics you need. what are your other plans for it? It is probably just the angle of the pic, but that thing looks tiny.